In a blog post Party people announce that their twitter account is compromised and "Unfortunately this type of attacks, which are part of the fourth generation war that we face today, promoted by the fascist right." Now account credentials are recovered by party but the tweets posted by hackers are still online. 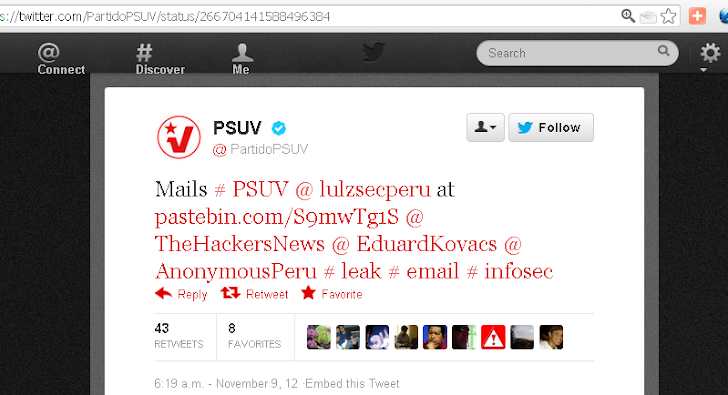 The pastebin link posted by hackers contain more Emails and Documents dumps .